Depending on the intended use of your M4, there is several power options available. 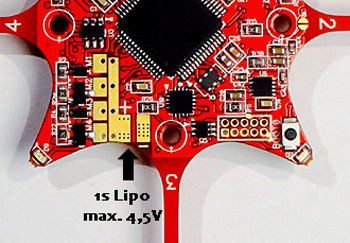 The battery port takes a maximum of 4.5V and is intended to be used on nanocopters with 1S lipo supply. Voltage monitoring is done by the internal charging and power management. 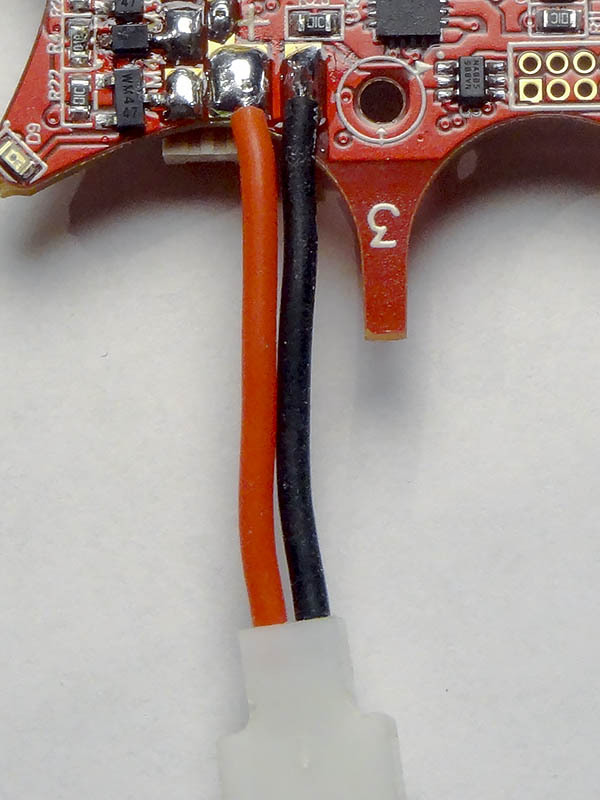 The M4 is able to charge a 1S battery when USB is connected or if a 5V supply is connected to the Vusb pads. With only battery connected, the board turns on and off with the Power Button. Vcom+ is the supply from the battery port, after the on/off switch. 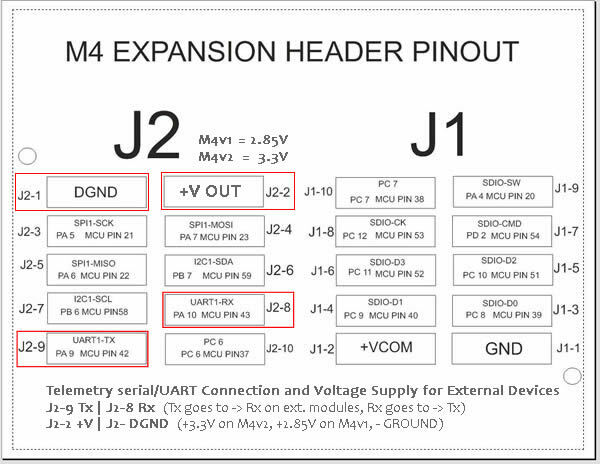 It is available on the expansion headers (J1, Pin2). You can supply max 4.5 volts onto this if you are building an expansion board and want as little wiring as possible. 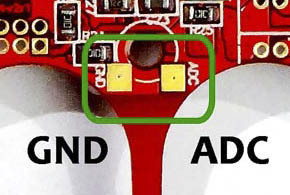 The board will turn on when a supply is fed to Vcom+. 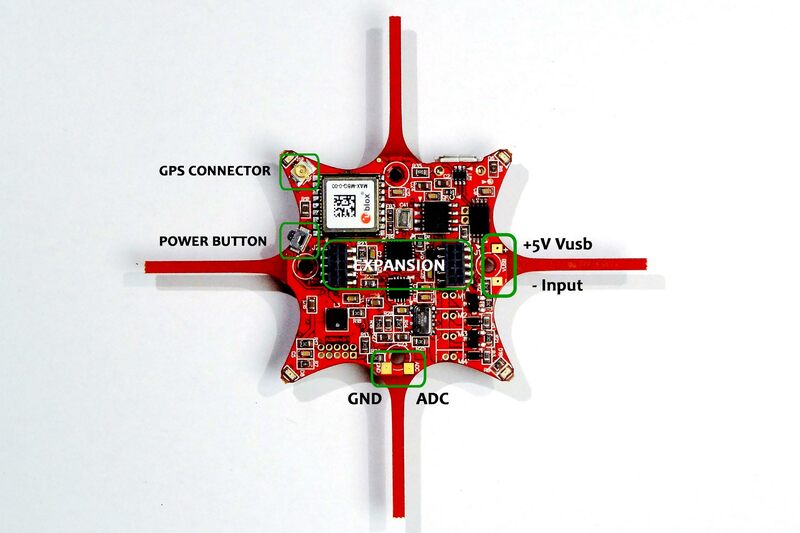 Refer to M4 expansion boards for expansion board details. 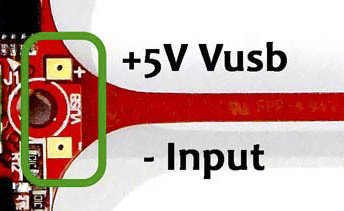 If supplying power to Vusb or Vcom+, you will bypass the internal voltage monitoring. So to facilitate using High voltage supplies, the M4 V2 has a ADC port for voltage monitoring through a resistor divider to a Analog to Digital Converter (ADC). Supply battery voltage on to this port to monitor up to 6S lipo voltages. Software support for voltage monitoring is pending approval. Don´t fire up your motors when the M4 is connected via USB! This will lead to an incorrect voltage monitoring which will result in “pumping” motors not running correctly. If you monitor the voltage via ADC, select the “External Voltage sensor” in the “Config” menu, “Misc. Settings” tab. This page was created on 26-Dec-14 by jussi. Last modified on 31-Jan-15 by kinderkram.